Pulls and Knobs | The Happy Wonderer ~ ellen b. 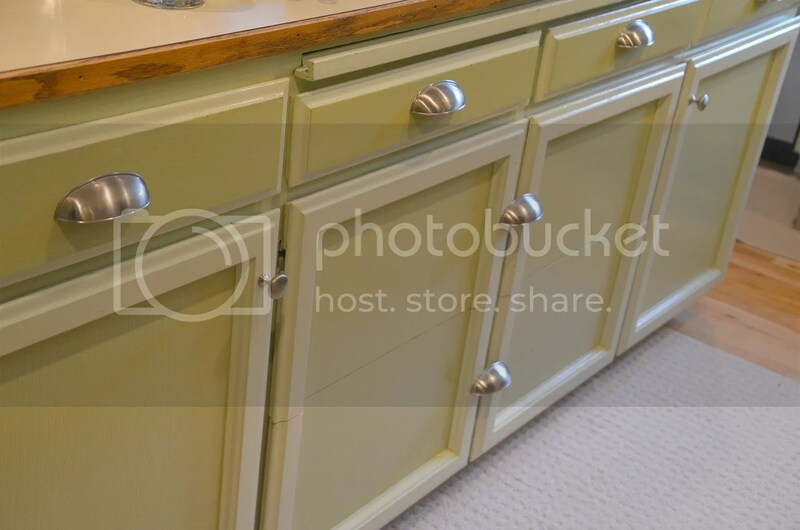 These first few photos are before shots of our pulls and knobs. I had to look in my archives to find the before photos. 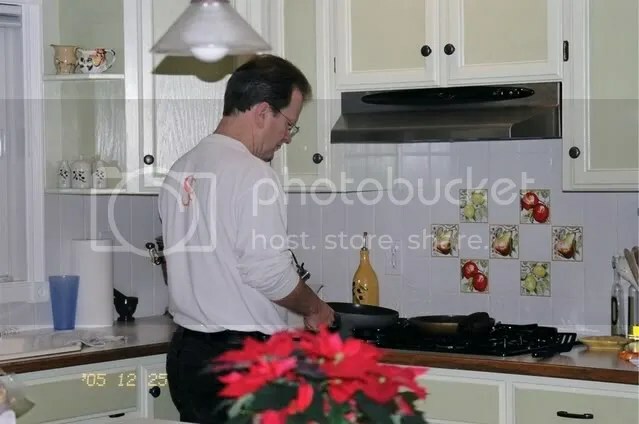 I was a bad blogger and I forgot to take close ups of the before shots. These pulls were nice and functional but they had too much detail on the surface that allowed crumbs and flying flour and sugar to gather in the nooks and crannies. Our first project of the New Year is complete. Do you have any projects you are going to tackle this year? 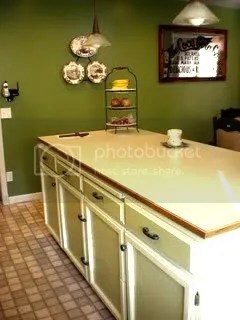 Posted on January 15, 2015 by Ellen •	This entry was posted in Before and After and tagged Before and After, DIY, Kitchen Knobs, Kitchen Projects, Kitchen Pulls, Kitchen Remodel. Bookmark the permalink. Things are lookin’ good over there! 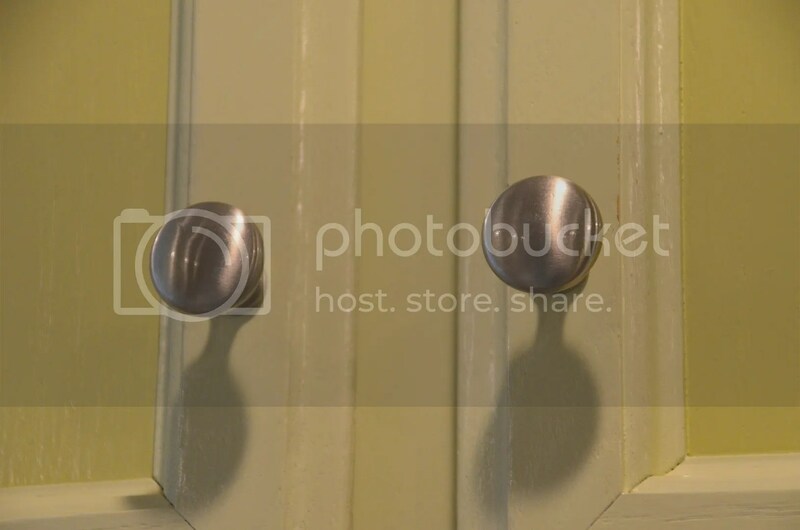 I have cup pulls on my drawers and like them. That looks very nice! Are you getting used to pulling out a drawer with the cupped handle that you reach up to rather than down with the others? I’ve heard that it can be an adjustment. I have one big project…should never of started. Anyways..I like the changes that you have made..the color is light and airy and gives a beautiful atmosphere. We need to redo some stuff in our bedroom..move a Kingsize bed into a room built for a queen size…OYE! I’m procrastinating…bad way to start the New Year! Love the cup pulls. 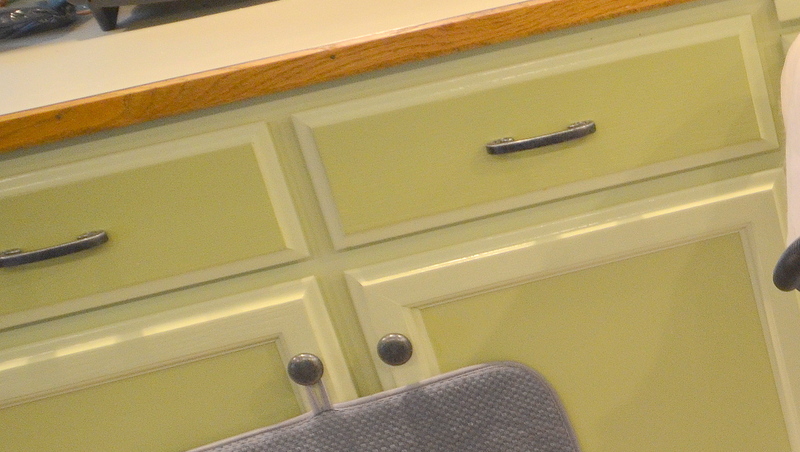 Can you believe that we built our house 24 yrs ago and STILL have no cabinet handles or draw pulls?! They make quite a difference! Well done, you, for making the change! I hear you about the designs with little crevices to make cleaning harder. Were they designed by people who’ve never cooked?! What I found amazing is how many pulls and knobs are needed when you stop to count them all. Your new pulls are identical to the ones in our new-old cottage. I like the look very much. Projects? The new place is one BIG project! I like your choice. Looks clean. 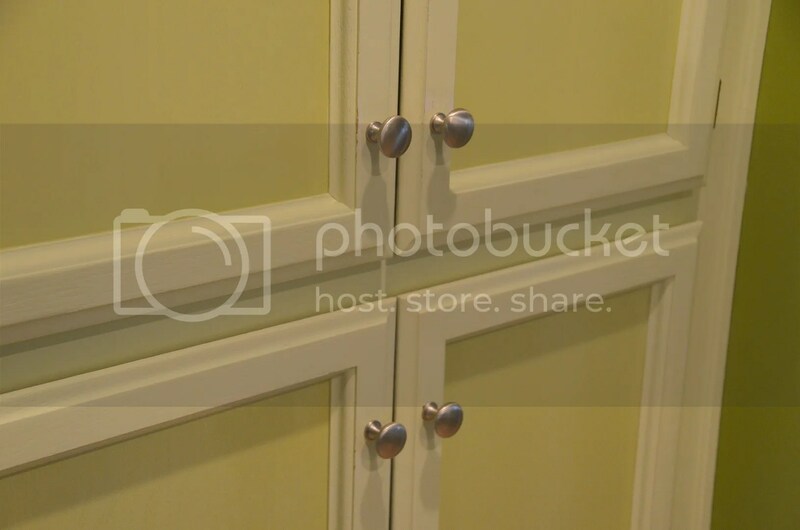 Beautiful Ellen – I love that type of pull tho my cupboards don’t lend themselves to this type. I keep looking around my house and thinking how I really need to make the whole thing a project – most importantly start editing and cleaning out the corners – eek! project at our house at this time. I’m crazy for knobs! I love them! Yours look GREAT! When we were choosing our cupboards and pulls that is the exact thing that made our decision for us. Though I was more drawn to the fancy schmancy ones my dislike of cleaning with a toothbrush won the day.